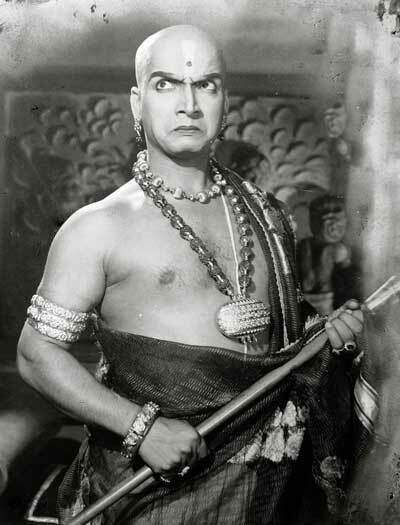 Young Narayanan Nambiar’s mother tongue was Malayalam but he opted to join a Tamil drama troupe at the age of 13. He joined the Madurai Devibala Vinodha Sangeetha Sabha run by the famous “Nawab” Rajamanickam Pillai. This was one of the famous ‘Boys Company’ drama troupes, so called because all actors were mainly young boys who played both male and female roles. Young Narayanan Nambiar learnt to speak perfect Tamil and played many roles, including that of women. His monthly salary then was just Rs. 3, of which he sent Rs. 2 regularly to his mother. Board and lodging was the responsibility of the troupe. 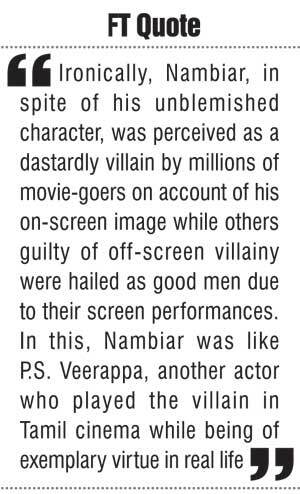 Thereafter, Nambiar did not get any more screen roles for many years. 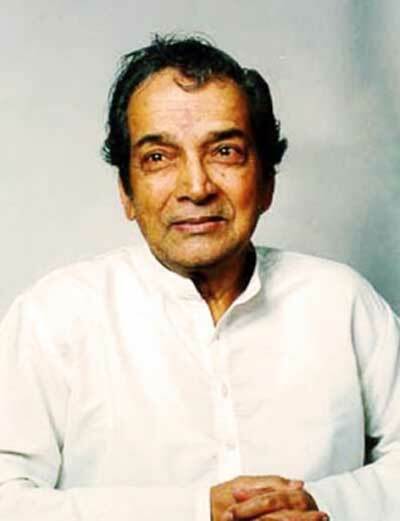 Meanwhile, his stage career received an unexpected boost when lead actor K. Sarangapani quit Rajamanickam Pillai’s troupe. Now Nambiar began to get better and prominent parts to play. His drama career began taking off. Soon Nambiar passed teenage and sought a place elsewhere in more ‘mature’ troupes. He joined the ‘Shakthi Nataka Sabha’ of “Shakthi” Krishnaswamy.